Tax Services: Personal tax returns, back taxes, tax planning, corporate tax returns, Non-Resident Tax and US-Canada Tax | GTA Wealth Management Inc.
We are tax accountants and financial advisors who are passionate about improving your entire financial position. 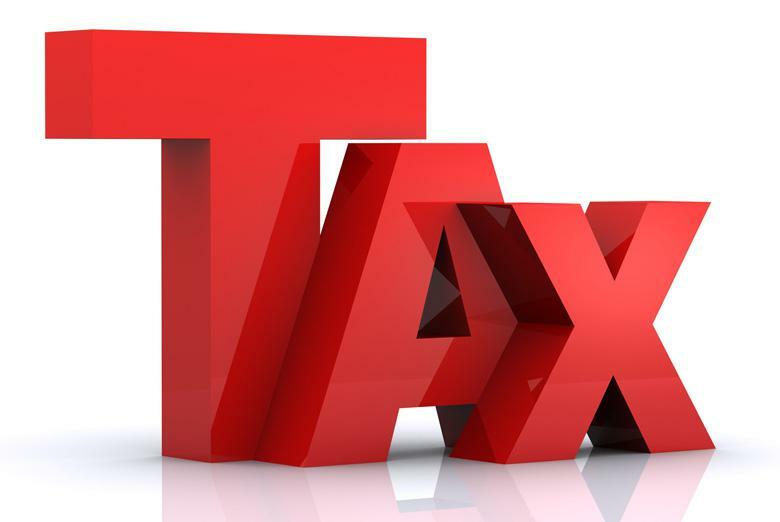 GTA Wealth Management offers tax services in the following areas: Personal income tax return, tax planning, back taxes, corporate tax return, Canada U.S tax and Non Resident Tax Return. A free financial needs analysis is available with all our tax services allowing you to take advantage of the synergistic effect of a holistic approach to income tax and financial planning; saving on your income taxes and maximizing your wealth creation. A true win-win situation. GTA Wealth Management Inc. has experienced tax accountants and financial advisors ready to expertly prepare your personal income tax returns and provide strategic tax planning unified with your personal financial planning requirements along with exceptional personalized service at affordable rates. When you succeed we succeed! This is our personal commitment to each and every one of our clients. Why is tax important to your wealth creation and overall financial health? For most people, the largest expense over his/her lifetime will be income tax. The fees paid to have an experienced tax professional help with your tax / financial planning will be superseded by the tax savings. The tax accountants and financial advisors at GTA Wealth have the expertise to see the big-picture while helping you lower your income taxes and improve your financial situation on your wealth building journey. You are legally required to file personal tax returns if you have taxes payable or you receive a request to file. You are legally required to file your corporate tax returns each year. If you are behind in filing your income tax returns, you could be subject to interest and penalties on overdue back tax balances. US citizens are required to file income tax returns annually regardless of where they are residing. If you are resident of Canada, you will have to file a Canadian income tax return as well. The tax department (CRA) can garnish your wage, freeze your bank account, seize assets to collect overdue back tax balances. Payments to non-residents are accompanied by withholding tax requirements. Make sure the proper withholding tax is remitted and reduced if possible i.e. rental income, capital gains, dividends etc. Preparing your income tax returns on a timely basis reduces your risk of a tax audit. Having a professional prepare your income tax return will enable you to utilize the available tax deductions and tax credits. Reducing your income tax is huge part of your wealth building process. The highest income tax bracket in Ontario is approximately 46%. Prepare your income tax return each year. You can avoid interest and penalties on overdue balances owing. The tax preparation process allows the tax department to calculate your Rsp contribution room each year. Accordingly, you can take advantage of contributing to your Rsp, receive a tax deduction on your income tax return and help maximize your retirement plan. Prepare the family income tax returns together. There are tax credits that can be transferred between family members; hence, it is profitable to prepare the family income tax returns together with one tax accountant / financial advisor. Paying income tax impedes your progress with your wealth building strategy. The highest income tax bracket in Ontario is above 45%. Paying close to half of your earnings to the tax department (CRA) can be a tough pill to swallow. An experienced tax accountant at GTA Wealth can assist you in reducing your tax bill. Mistakes can cost you hard earned money. Over the years, the benefit from having a financial advisor / tax accountant at GTA Wealth assist in preparing your tax return and integrate a tax efficient financial plan will supersede the fees paid. The critical point here is to understand that a significant portion of your earnings will be remitted to the government; why not have a financial advisor at GTA Wealth help reduce this huge expense in a financially astute manner? Why waste your time going to multiple financial advisors? Is your time valuable to you? Do you want a financial advisor that is knowledgeable about your entire wealth strategy? Do you want a holistic approach to your wealth building strategy whereby there is no disconnect between your independent financial advisors. If you have a tax accountant, an investment advisor, an insurance advisor, a banker etc. there will inevitably be a disadvantageous disconnect with your overall wealth strategy. At GTA Wealth, you can meet one knowledgeable financial advisor to manage your tax, investments, insurance, mortgage etc. This one financial advisor / tax accountant approach results in economies of scale that will translate into lower fees for the client; an approach that will integrate many facets of your wealth building process and allow you to retire with financial security and make the most of your hard earned money. The financial advisors at GTA Wealth will be able to provide solutions for your tax needs, retirement planning, investment planning, insurance planning, mortgage planning etc. This synergy will result in a more efficient plan as opposed to hiring three or four separate advisors that will be unable to communicate effectively with each other; this disconnect will bring costly inefficiencies into the equation. Start your wealth building and tax reduction strategies with GTA Wealth now. It makes sense to choose GTA Wealth Management Inc. You will receive more comprehensive advice from one financial advisor who is knowledgeable in all areas of your tax reduction and wealth management plan. Free financial review: With the preparation of a tax return, GTA Wealth will provide you with a free financial needs analysis i.e. tax planning, investment return review etc. Integrated tax solutions can make a positive difference to your financial planning. GTA Wealth, the one stop for all your financial services. Maximize your wealth and save on taxes. Many happy clients of GTA wealth have taken advantage of our holistic approach to income tax and financial planning; the holistic approach results in lower taxes and maximized wealth building. You too can experience the positive synergistic effect of integrating your tax strategies with your financial planning. GTA Wealth would welcome the opportunity to help you save on your taxes and maximize your wealth. GTA Wealth Management offers tax services in the following areas: Personal income tax return, tax planning, back taxes, corporate tax return, Canada U.S tax and Non Resident Tax Return. Contact or call GTA Wealth Management toll free 1 855 GTA WLTH (855 482 9584) to accelerate your ride to financial independence. A professional wealth management financial advisor is ready to serve your personal tax return, planning and wealth management needs. GTA Wealth Management Inc. has three convenient locations in Mississauga, Toronto and Markham to serve you.